Hoang Sa Truong Sa | Việt Nam Cộng Hòa Muôn Đời Muôn Năm: Danh Dự. Tổ Quốc. Trách Nhiệm. Alright folks. Recently some people – including readers of this blog – have expressed their desire to help Vietnam. Some friends, family members and even colleagues became outraged and fumed with anger when I explained to them the plight of the Vietnamese people in Vietnam. 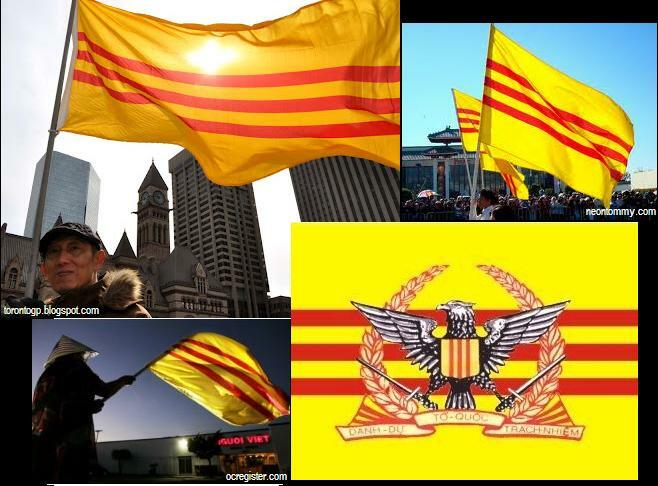 I don’t know what’s the cause of the surge in people becoming concerned with Vietnam’s affairs and why all of a sudden they have a tone of urgency in their voice, but the suffering of the Vietnamese people under the government of Vietnam has been going on for decades. Or perhaps something more simple and fundamental: They have a conscience, and so can YOU. Folks, I thank you for your support and for joining me as we raise our voices for those who are silenced and we lend our hearts to those who need love. I am Catholic and every Sunday since I was born voices from the pulpit always preached to me about loving my neighbours, the oppressed, the forgotten, the marginalized, the underprivileged. “Blessed are those who thirst and hunger for righteousness”, says Jesus, “for they shall be filled” (Matthew 5:6). Well, life is not worth living if I only live for myself. Life becomes worthwhile once it is lived for others. 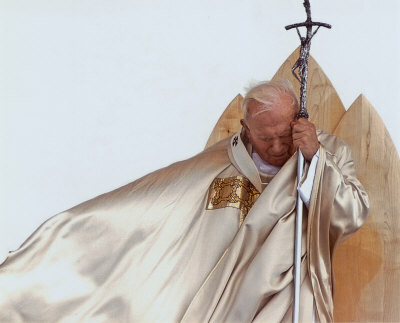 So as we continue this arduous journey, I echo the words of Blessed Pope John Paul II: Do not be afraid! Rise, let us be on our way. Do not be afraid. Do not be afraid! In the Vietnamese activist community, surely we all know of and admire Viet Khang (Vo Minh Tri), the Vietnamese singer-songwriter who has been imprisoned since December of 2011 for writing passionate and patriotic songs of pure love for his country–songs which encouraged his people to stand up and defend their country from the Chinese invasion of Vietnam, and subtly denounced the communist governments of Vietnam and China for their heartlessness and dealing off Vietnamese lands such as our historic islands Hoang Sa and Truong Sa. This April 30th, which marks the 37th anniversary of the Fall of Saigon, I am sure the Vietnamese diaspora all around the world will be thinking of Viet Khang and his fellow detained activists who, like all Vietnamese citizens, are suffering at the hands of the communist government. We will honour their determination, their courage, and their profound sense of justice and duty towards their homeland. We will show them our unwavering support. There is no crime in loving your country, in wishing to protect and preserve its existence, in fighting for the justice, freedom and human rights that its people have long been denied. Người ngư dân sống một cuộc sống rất đơn sơ. Họ lăn lộn cuộc sống để có vài bữa cơm và vài miếng cá. Họ không đòi hỏi về những vật chất, không cần những điều cao lương mỹ vị. Họ sống với thiên nhiên: mặt trời mọc là còi báo thức; mặt trời lặn cho ta gió chiều với tiéng ru của biển. Gió chiều nhẹ, và biển khơi ru ta vào giấc ngủ ngư dân. Những giấc mơ ngư dân, như giấc mơ cô bé, chỉ ước mong là sẽ được gặp lại người thân yêu của mình. Vì thế, giấc mơ ngư dân cũng là những giấc mơ của mỗi một người đã phải cách xa Quê Hương ngàn dặm ra đi, và mong là một ngày nào đó sẽ có cơ hội trở về Quê Hương để đón Xuân với những tiếng pháo tự do. Chúng ta phải tiếp tục đốt cháy những ngọn lửa tự do để thắp lên ánh sáng và hy vọng cho Quê Hương. Last Saturday evening at the Royal Dragon Restaurant in Mississauga, our Vietnamese-Canadian community came together to organize and support a charity dinner in order to raise funds for democracy activists in Vietnam. These righteous, brave, and outspoken activists have been and continue to play a crucial part in supporting the movement for freedom, democracy, and human rights in Vietnam, all of which are virtually non-existent and ever overshadowed by the corrupt communist government and their unjust ideals. From where we are, in any way possible, we must give them our full support! We also had honoured guests who made the trip from the United States to contribute their support. Mr. Đỗ Thành Công, a former political prisoner and democracy activist who was unjustly imprisoned by the Vietnamese communist government, was one such guest in attendance at the charity. He gave a rousing powerpoint presentation detailing his knowledge of critical issues that Vietnam is and will soon be facing due to the incompetence and corruption in the country and especially within the governing party. Mr. Đỗ Thành Công and three of his party members were arrested in August of 2006. He himself was arrested and subsequently deported. Lê Nguyên Sang, a member of the People’s Democratic Party of Vietnam (Đảng Dân Chủ Nhân Dân) served 4 years in prison for violating article 88 of the criminal code, which forbids “conducting propaganda against the state.” They were released recently in 2009 and 2010. However, the irony is that these prisoners have never actually posed a direct threat; they simply spoke aloud their mind, and their words did not agree with the government–hence they were imprisoned without just reason or cause. Concern is ever growing. The amount of jail sentences for political prisoners in Vietnam totals to about 187 years, and that is only from what we do know at this point. Dozens of independent bloggers and democracy activists like Ms. Phạm Thanh Nghiên, Ms. Trần Khải Thanh Thủy, and Ms. Lê Thị Công Nhân, just to name a few well-known activists, have been arrested (in some cases also beaten) in Vietnam and no doubt we will see more of such injustice to come if we sit idly and do nothing to stop it. Furthermore, the Vietnamese government has been relying on communist China for “protection,” yielding its lands to the threatening and rising superpower to the North–lands such as Hòang Sa and Trường Sa, Vietnam’s Paracel and Spratly Islands, an act that has caused an uproar from Vietnamese around the globe and even within the usually suppressed country. The Vietnam-China border continues to move, wherein China expands their territory while Vietnam is losing more land. By buying the “protection” of a similarly communistic country, the Vietnamese communist party ensures that they will remain in absolute power. Vietnam has proudly upheld its own for thousands of years, and to let this happen is not only an outrage, but I feel like it is a tragedy, as well.